While it’s normal to feel sad or unhappy some of the time, persistent feelings of distress and sadness can indicate clinical depression, which needs medical intervention. 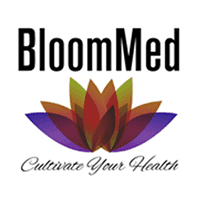 At BloomMed LLC in McKinney, Texas, Dr. Stephanie Cudjoe takes as much time as you need to discuss your concerns and your depression symptoms before creating a treatment plan. She can evaluate and monitor your symptoms through regular visits at your home and can even refer you to a specialist for advanced treatment. Don’t ignore persistent feelings of depression. Book a consultation online or by phone. Depression is a mood disorder that causes you to feel ongoing sadness or a general loss of interest in your usual activities. The condition can influence how you think and feel. It can also lead to a variety of emotional, physical, and behavioral issues. When left untreated, depression can make you lose your sense of oy in life and cause you to have thoughts of hurting yourself. In some cases, people with depression may not realize how severe their symptoms are. Loved ones may be more likely to notice the change in one’s behavior and mood first. Depression may also be the result of biological factors, such as changes in your hormone levels. 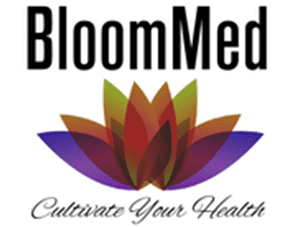 This can happen during different phases of your life like pregnancy or menopause. It’s vital to seek Dr. Cudjoe’s help if you feel symptoms of depression on a regular basis. If you have thoughts of harming yourself or others, you should call 911 for emergency help. There are also suicide prevention hotlines you can call for confidential help. Dr. Cudjoe can perform a comprehensive physical evaluation to rule out underlying medical conditions that may influence your depression. She also reviews your medical and family history and discusses issues like your current relationships and lifestyle. Once Dr. Cudjoe assesses your situation, she may refer you to a mental health specialist for further treatment and professional counseling. Dr. Cudjoe may also recommend treatment with antidepressant medications and can recommend lifestyle changes to help you manage your depression. These changes may include improving your diet, physical activity, remaining in touch with close friends and family, and following through with counseling and other mental health services. To learn more about managing your depression, schedule an appointment online or by calling the office.